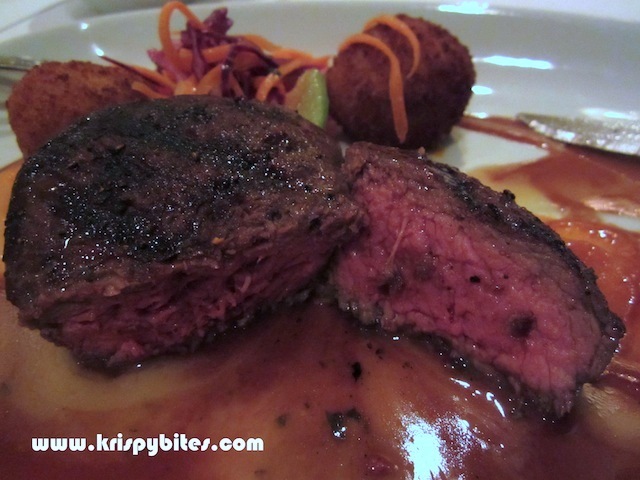 My last Winter Fork Fest dinner this year was at Jack's Grill. 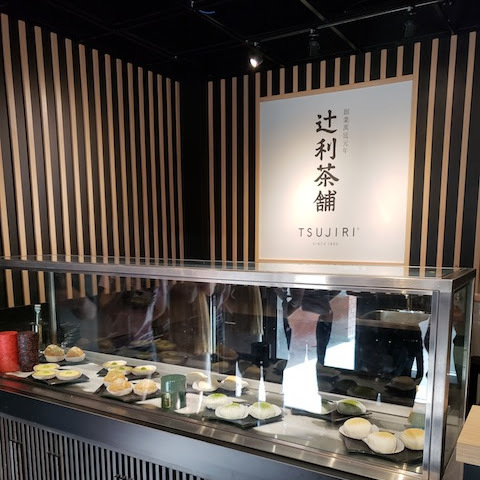 I considered whether I should write this post since the restaurant has permanently closed, but I decided to anyway for completeness' sake. This Fork Fest meal was the most expensive at $45/person for the 4-course and $55/person for the 5-course. I had the $55 option along with a $23 wine pairing (4 wines), so the total cost was almost $100 including tax and tips. 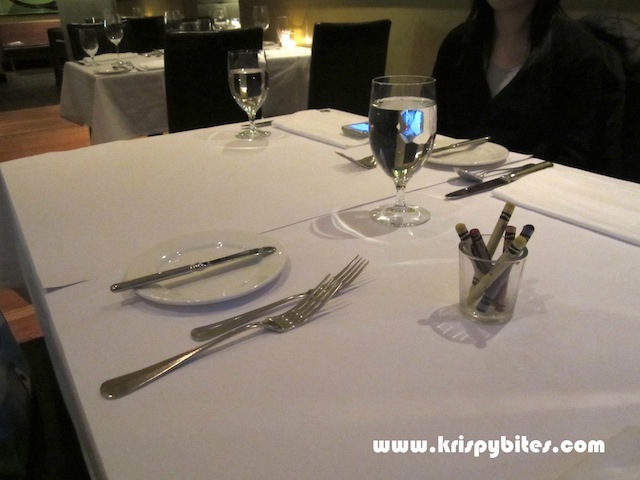 Given the fine dining prices and atmosphere, I was surprised to find crayons and white sheets of paper on top of the tablecloths for doodling. We had fun drawing and colouring, but this sort of thing should be left to IHOP and Cora. 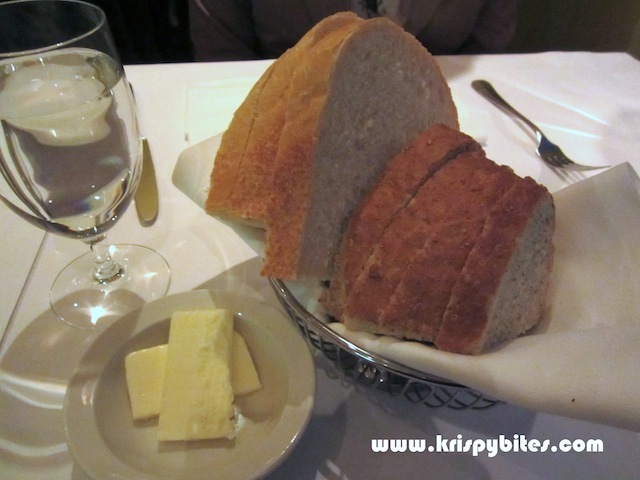 The complimentary bread was good, though they were a bit stingy with the butter. 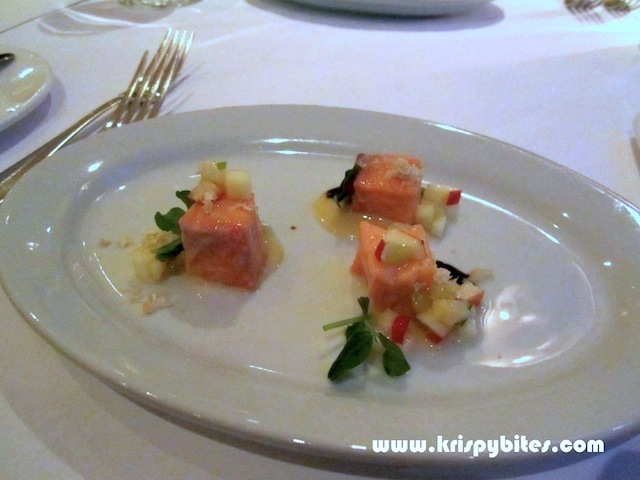 The first course was a ceviche of salmon, apples, yuzu and horseradish. Because ceviche usually refers to a raw chopped-up seafood dish, I kind of expected the salmon to be raw and marinated or smoked in tiny pieces, but the meat was cooked and served in three bite-size cubes. Still it was not bad with the sweet-tart apples. 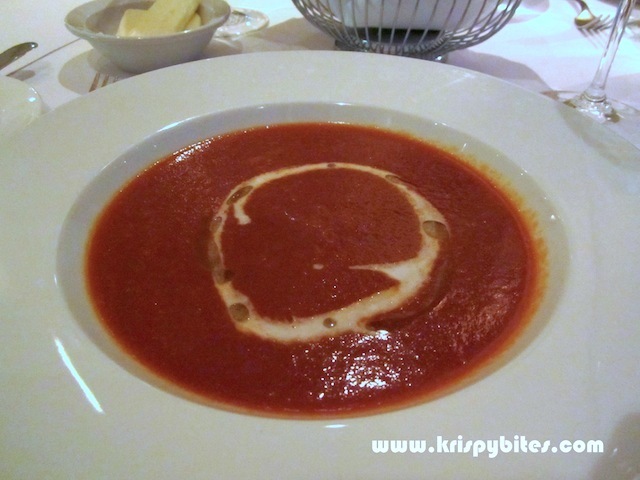 I thought this bright red soup was a tomato soup, but it was actually roasted red pepper with garlic and parsley emulsion. It tasted like tomato though, and the flavour was too tart for my liking. The texture was very thick and velvety smooth. The creamy swirl of garlic and parsley had a peculiar taste that reminded me of blue cheese. 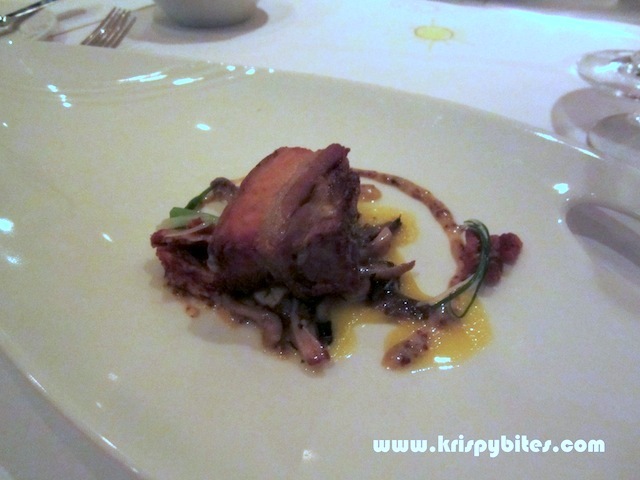 The pork belly was not as tender as I had imagined; it was crispy and deeply savoury. The most interesting part of this dish, however, was the crunchy-chewy-sweet-spicy chestnuts. And believe it or not, I finished all of the sauteed mushrooms despite my intense dislike of mushrooms. Mousie ordered medium-rare for her 6 oz striploin and I ordered rare, but the server mixed up our orders and I ended up with the medium-rare that was completely cooked through. So I had to send it back and luckily they got it right the second time. The server kept apologizing and even the chef came out to apologize. 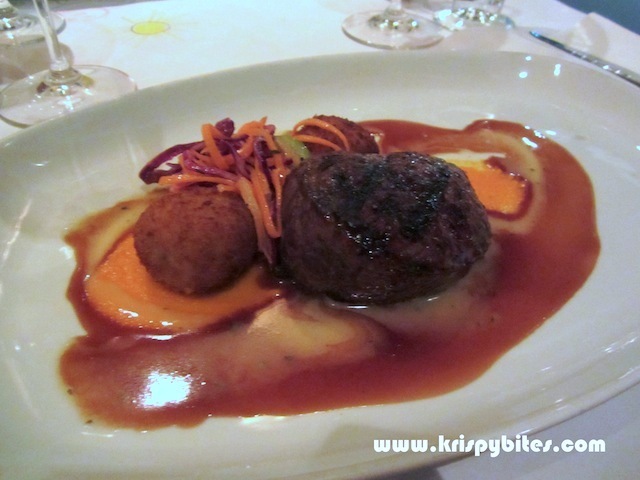 The steak came with lobster arancini and carrot puree. I was glad that there was no potato; I'm so tired of the unimaginative mashed or roasted potato as a side. The arancini was a tasty fried rice ball with lobster meat inside. I almost chipped my tooth on a piece of lobster shell, but at least that proves the lobster meat was real. 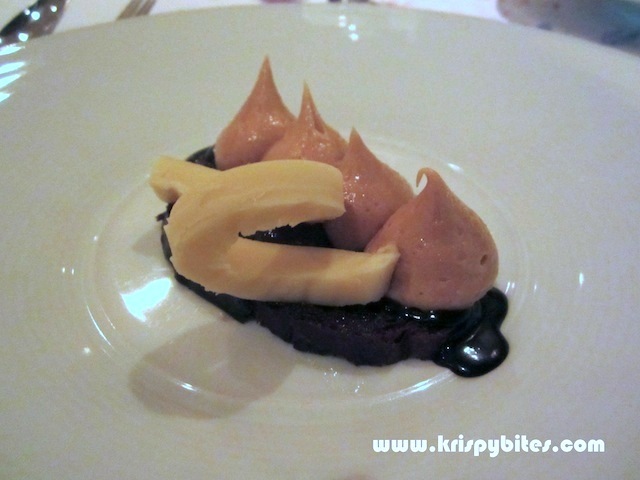 The dessert was an interesting mix of two well-known combinations: peanut butter and jelly, and banana and chocolate. A dark chocolate brioche was topped with creamy peanut butter ganache, a squiggle of fragrant banana curd, raspberry jam, and completed with rich chocolate sauce. 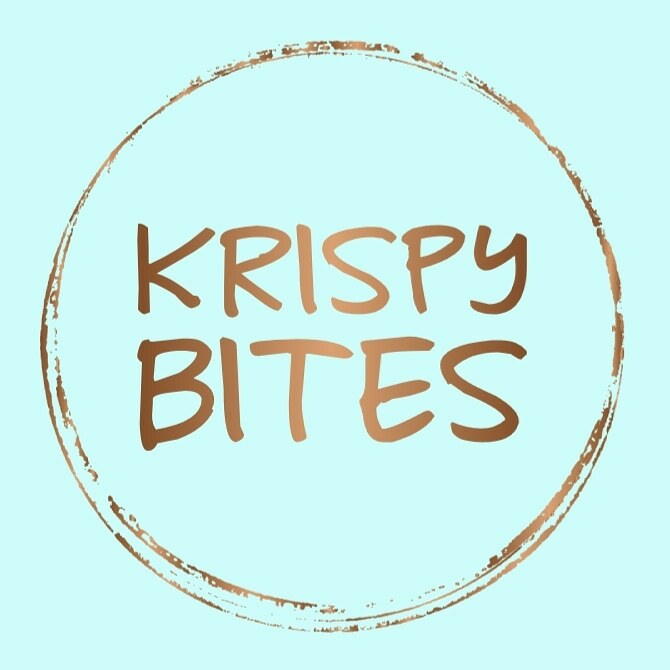 I thought there was too much "creamy" and not enough "crunchy" since the brioche was the only ingredient that offered a crunch. Also the brioche was very weak in flavour and I couldn't taste the chocolate in it. 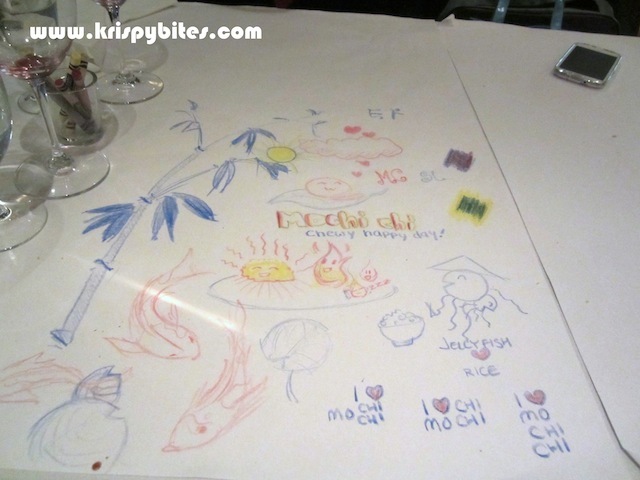 By the end of the meal, we had scrawled all over the paper and covered it with cute and meaningless doodles. I think this is, to date, the most expensive meal I've ever had. Is it also the best meal? Not by far. 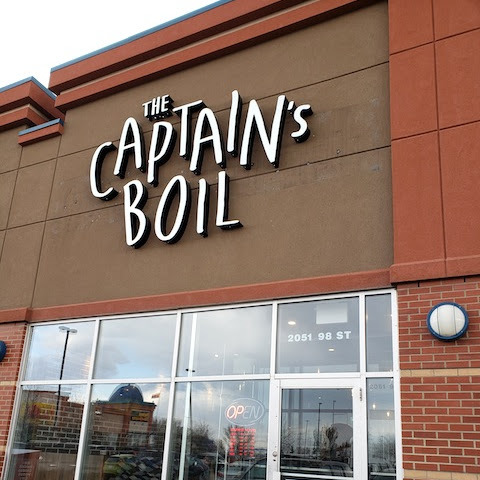 The food was above average, but not so much that I'd be willing to spend a fortune on it. With the price I paid, I could pretty much dine at any fine dining establishment in the city and I'm sure there are lots of options that are better. Ceviche ALWAYS refers to fish "cooked" with acids (lime and lemon) instead of heat but I suppose they had concerns about the freshness of the fish considering Alberta *is* a landlocked province. 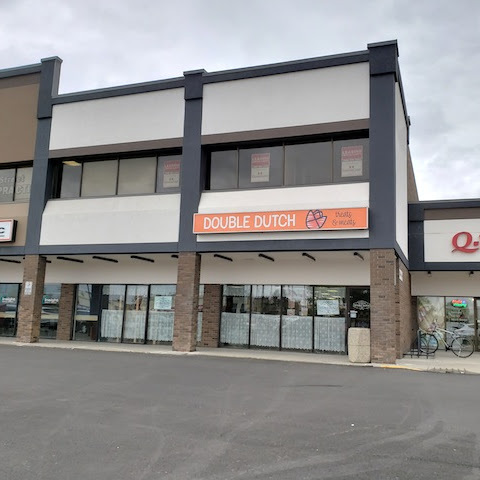 Well then following that logic, there should be no sushi restaurants in Alberta. It just depends on whether the restaurant is willing to pay for fresh seafood. I suppose this is why the place is permanently closed.